Express shipping means: If you order in the next 10:40 hours, we will hand over your package today to DHL, our logistic partner. 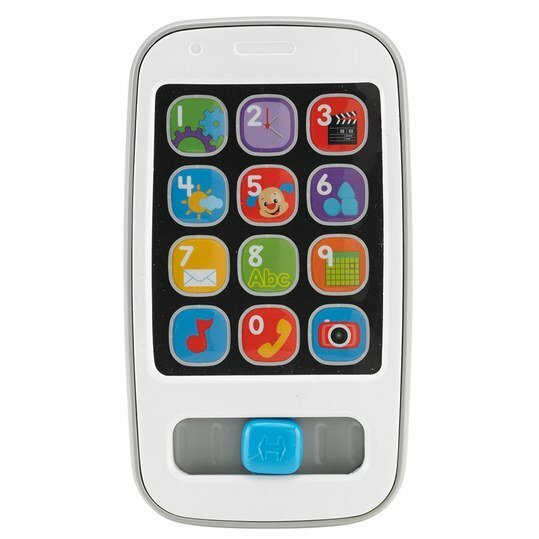 play like the big ones with the learning fun Smartphone from Fisher-Price. In this way even the smallest children are introduced to the modern means of communication of today in a playful way. There are many colorful app icons on the screen that your baby can press around on. Thereupon you hear more than 20 songs, sentences about numbers and counting; greetings and more. For example, sentences like "Hello, hello. Who's on the phone?" sound. Your child can also move the blue slider to activate other songs and sounds. Lernspaß Smart Phone wurde bewertet mit 5.0 von 5 von 1.